the treatland super computer found 181 results matching your criteria. 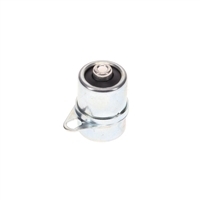 m6 moped engine cylinder stud made by polini! use this size for puch E50/ZA50, morini M01/M02, yamaha qt50 and more! 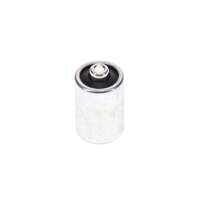 complete replacement cylinder studs, nuts, and washers pack! quick, extra secure solution. a tire party for us refined individuals, or a trip back to memory lane...from slammed rat rodders to old skool sleepers, this tire party is sure to make you say "eyyyyyyyyyy" like the fonz...watcha waitin for? slap on some new skins and get to the malt shop!!!! a tire party for the sixteeners that need a bit more width on those rims! these are the OEM tires found on tomos sprint and st! cool yo! 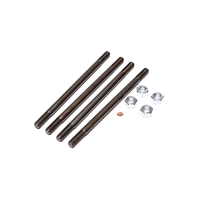 complete replacement cylinder studs n' nuts pack! quick, extra secure solution. 6203 C3 crankshaft bearing for rebuilding e50 (one speed) engines on any puch moped. also one of the bearings for peugeot engines, derbi flat reed and piston port/pyramid reed magneto side!!!!! tomos A3/A35/A55 (OEM #035070), garelli NOI +VIP, morini m1/m01/M02, yamaha QT50 (both sides), puch za50 output shaft and others like solex!!! + nu50 transmission bearing too! crankshaft bearing for puch e50 + peugeot + derbi + garelli + tomos + solex!!! theeeeeeeeee crankshaft bearing for rebuilding e50 (one speed) engines on any puch moped. also one of the bearings for peugeot engines, derbi flat reed and piston port/pyramid reed magneto side!!!!! tomos A3/A35/A55 (OEM #035070), garelli NOI +VIP, morini m1/m01/M02, yamaha QT50 (both sides), puch za50 output shaft and others like solex!!! Responding to the requests of our exacting customers, Malossi proudly offers a new product line of engine oil seals for MOPEDS, filling a void in the market. Oil seals with special characteristics, high quality for racing, with low rotational friction and high durability. FKM plus PTFE oil seals boast the highest quality materials and advanced material technology ensuring product quality which is, as always, the driving force and pride behind Malossi. they are made of FKM (fluorocarbon rubber) to better resist to the highest termic stress; the seal lip is made of PTFE (polytetrafluoroethylene); this feature makes them a lot more durable than the standard original ones, giving them a smaller friction coefficient thus granting less heat dispersions caused by the friction and at the same time maintaining lower temperatures. these oils seals have been studied with racing engines but equally they perfectly fit on the standard engines that haven't been tuned-up. VITON seal in 17 x 35 x 7 for many many mopeds! 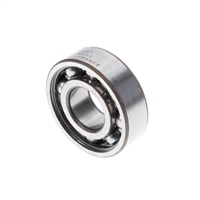 6203 C4 malossi SKF bearing! moto morini black leather cafe racer seat. big chamber yep, unpacked, uncoated, have your way with it. 12mm wrist pin and cir clips for many uses depending on the size you need.. made by malossi!! this is actually the pin for the puch malossi 62cc cylinder, but it is also exactly the same size as the 60cc morini polini reed kit too! no soldering required, just screw and go. 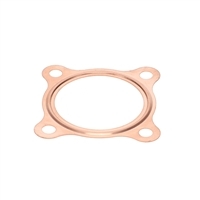 copper head gasket for 70cc puch cylinder kits, morini and more! mostly black with white writing!! mostly white with black writing!! accel brand non-detergent 20 weight motor oil!! for minarelli v1, garelli, morini, n more. demm? probably. 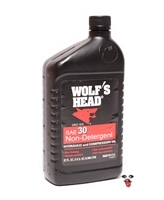 wolf's head brand non-detergent 30 weight motor oil!! for minarelli v1, garelli, morini, n more. demm? probably. effe bosch screw type condenser for puch, batavus, sachs, solo, kreidler and some minarelli/morini using bosch ignitions. effe bosch solder type condenser for puch, batavus, sachs, solo, kreidler and some minarelli/morini using bosch ignitions. 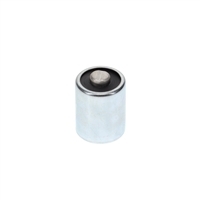 its the morini size shim for using sha on stock intakes. bosch screw type condenser for puch, batavus, sachs, solo, kreidler and some minarelli/morini using bosch ignitions. check dimensions before you bite the bullet!!! genuine bosch SOLDER type LONGER condenser, its longer! genuine bosch LONG size condenser. might be too long for you. but it could be exactly what you need! bosch solder type condenser for puch, batavus, sachs, solo, kreidler and some minarelli/morini using bosch ignitions. check dimensions before you bite the bullet!!! complete complete 50cc dual variated kick start franco morini motor! wow! sealed bearing for honda hobbit rear wheel, actually it goes in the rear brake plate. plus for morini M1 and M01 engines! new HPI CDI mini rotor ignition.....this mini external rotor is actually lighter than the HPI internal rotor! this version has an integrated 60W light coil for super bright lights! great curve and comes with all you need to make the change. plus you can adjust your stator anytime even with the flywheel mounted! very rare micro stud for morini and more!! pietcard CDI . these are interesting CDI's. you put the coil on your stock points stater plate and use your stock points flywheel! this as an electronic converter made to replace the points and condenser. NEW NEW NEW for morini M1 M01 & M02, you know like sebring negrini beta malaguti pacer and.. well you get the point. the most advanced ignition available for morini + 60w of bright lighting power. the one and only seal you need to seal up a vespa or kinetic engine case around the crankshaft. also used on minarelli V1 engines on the counter shaft and either side of the pedal shaft (3 total) or on morini M1/M01 engines as the countershaft seal. superior quality VITON 15 x 24 x 5 seal!! 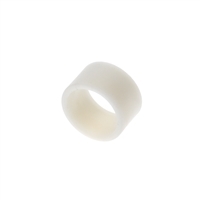 for vespa crankshaft, minarelli and morini pedal shaft seal! 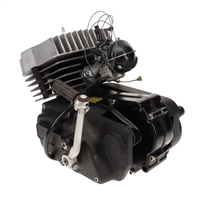 a variator for the franco morini complete engine and also for all vespa piaggio mopeds! mad max style baby! slash your enemies tires with the fins man! chromeeeeeeee!!! 103!! peugeot!! EBR!! forksssss!! these are almost a perfect fit for the arciero top tank as well.. which is basically a pacer super sport..